“When it’s simply a choice between getting the information earlier or not, the monkeys show a pretty strong preference for getting it earlier. But what we really wanted to do is quantify this preference,” said first author and lead researcher Tommy Blanchard, a Ph.D. candidate in Hayden’s lab. In the video gambling experiments, graduated colored columns illustrated the amount of water that could be won. The monkeys were more curious about the gambles when the stakes—or columns—were higher. The researchers found the monkeys not only consistently selected the gamble that informed them if they picked a winner right away, but they were also willing to select that option when the winnings were up to 25 percent less than the gamble that required them to wait for the results. “One way to think about this is that this is the amount of water the monkeys were willing to pay for the information about if they made the correct choice,” explained Blanchard. According to the researchers, their study helps to build a broader understanding for how curiosity—information seeking—is processed and rewarded in the brain. 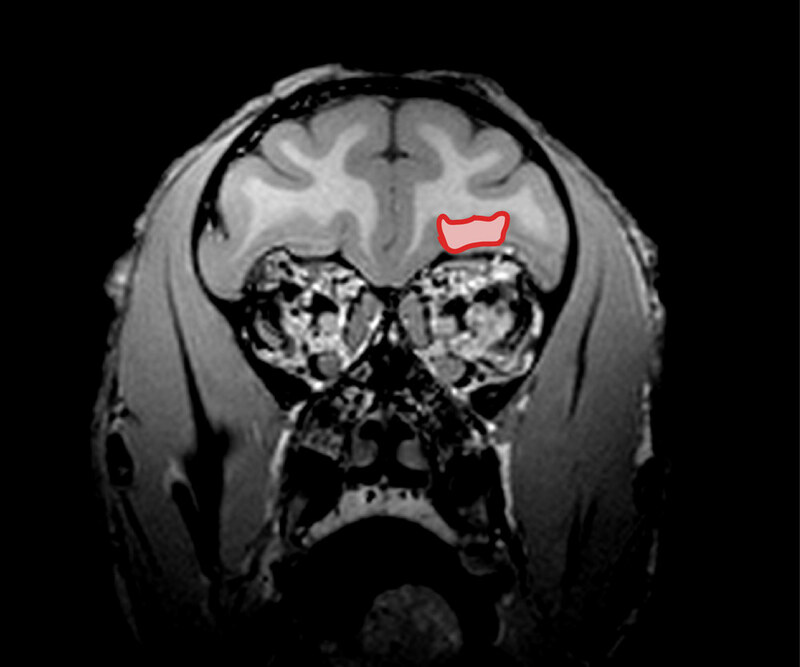 MRI of brain with Orbitofrontal cortex highlighted. Image courtesy of Benjamin Hayden. Like monkeys, when curious we evaluate what we’d be willing to pay—or give up—to satisfy our curiosity, Hayden said. And in the case of gambling, there is also the potential of a prize to factor in. So when we make a choice, it depends on the sum of those two things: the gamble (the money you might win), and the value of finding out. And those two things need to be combined in order to make decisions about that gamble. Earlier work suggests that these components are combined in the brain’s dopamine system. This study looks at that one step earlier in the process, in a region of the brain called the Orbitofrontal cortex, or OFC. 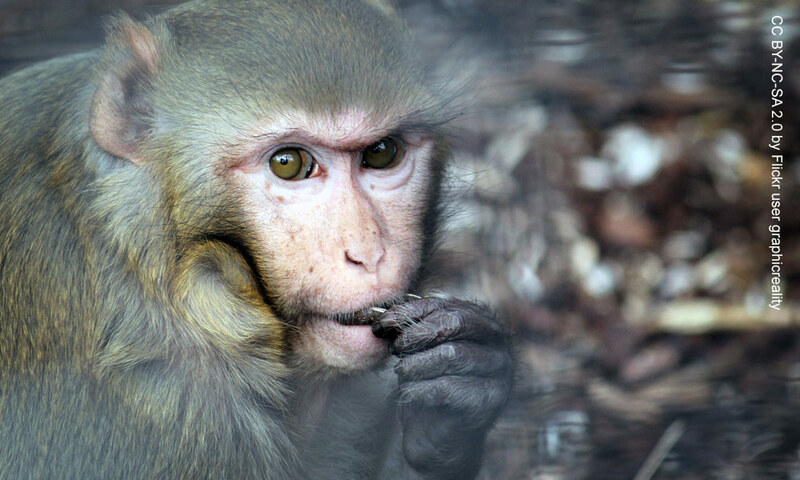 “We think that by understanding these basic circuits in monkeys we may gain insights that 10 to15 years down the road may lead to new treatments for these psychiatric diseases,” Hayden concluded. Ethan S. Bromberg-Martin of Columbia University was co-senior author of the study.